The Cat® Simulators Large Wheel Loader trains users to be highly efficient in the skills required to operate the machine in a quarry environment. 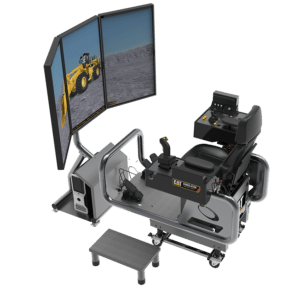 The simulated wheel loader teaches operators and students important control movements and specific applications used on real world worksites. 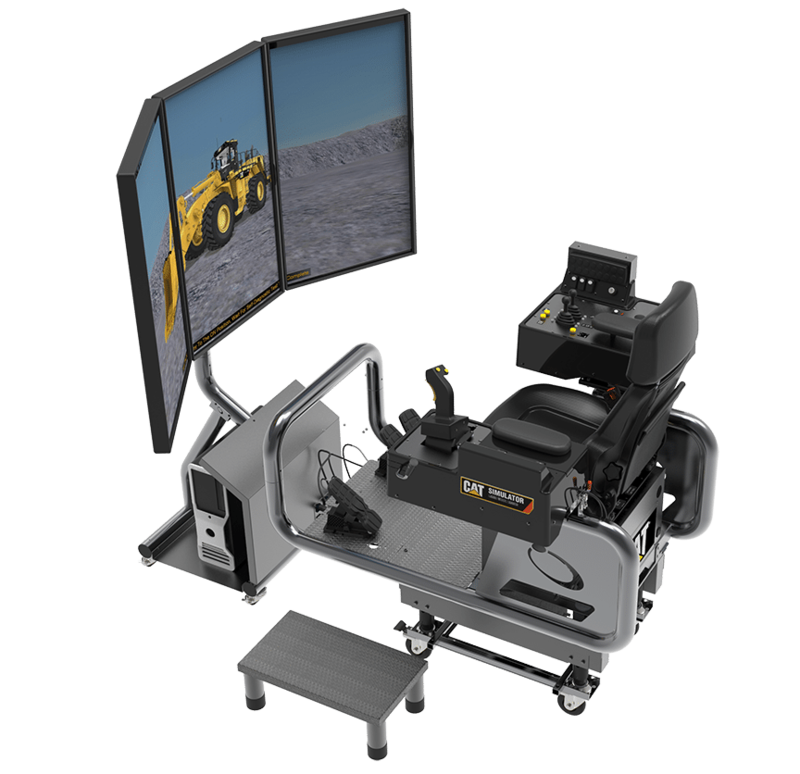 This simulator model offers a three-monitor configuration, giving a more authentic experience to the operator by increasing their visibility in all directions. Exclusive to Cat Simulators is SimU Campus™, the software that measures, records and reports the results of all simulation sessions so instructors and users can track progress. Hundreds of benchmarks based on Caterpillar expert data are included in the system, with the operator’s performance measured against these benchmarks and outcomes recorded to a database. Hardware – Frame and controls needed to operate the simulator, computer, mouse, keyboard, seat, monitor stand and three 43” monitors. Software – Large Wheel Loader Simulator software and SimU Campus Training Records Management software. Languages supported in the software include English, Spanish, French, Portuguese, Chinese and Russian.